After the “Etna Nature & Flavour” we eill move to Taormina, but first we will stop at the wonderful “Isola Bella”, a Wildlif Reserve considered the “pearl of the lonian sea” for its natural beauty. It is possible to bathe in these marvellous crystal clear waters. For lunchtime everyone is free. 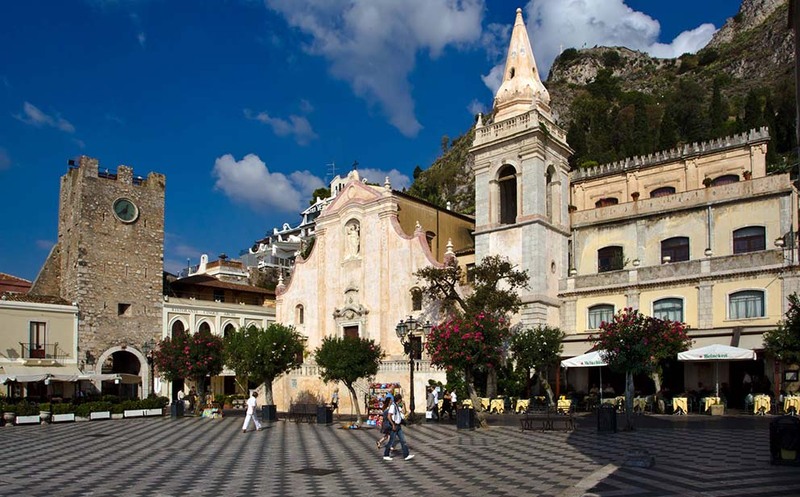 After lunch (not included) we will visit the picturesque town of Tormina. The cost includes: Shuttle bus (return), Multilingual tourist guide, Trekking shoes (on request), The kit for visiting the Cave, Sampling. The cost does not include: Multilingual guide (on request), Optional visit of Greek Theatre € 8,00; Museum of Art and Folk tradizions € 2,60; all thet is not specified under “the cost includes”.